Certificate of Recognition. 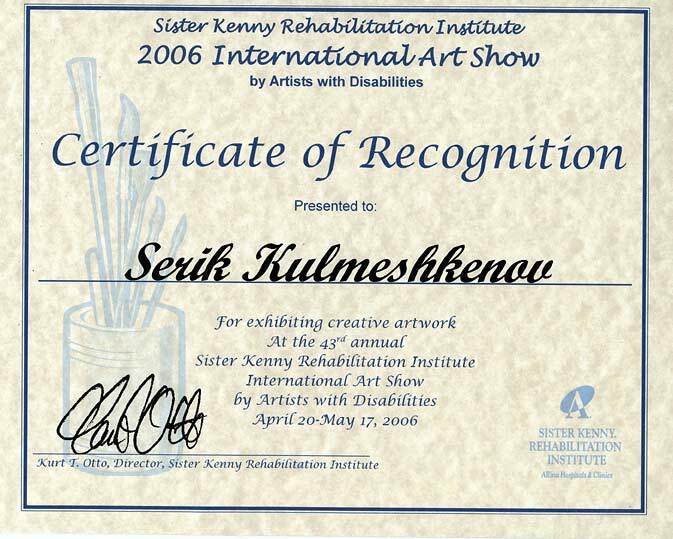 Sister Kenny Institute Art Show. Minneapolis, USA. 2006.